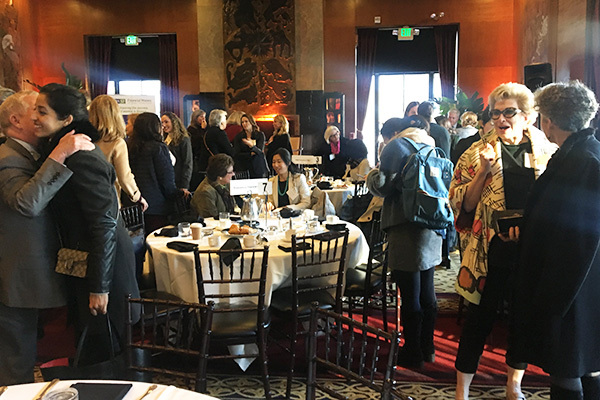 On Wednesday, January 23rd, at The City Club, Financial Women of San Francisco (FSWF) hosted Liz Ann Sonders, Senior Vice President, Chief Investment Strategist, Charles Schwab & Co., Inc. at our Annual Economic Outlook event, part of FWSF’s Industry Leadership Series. 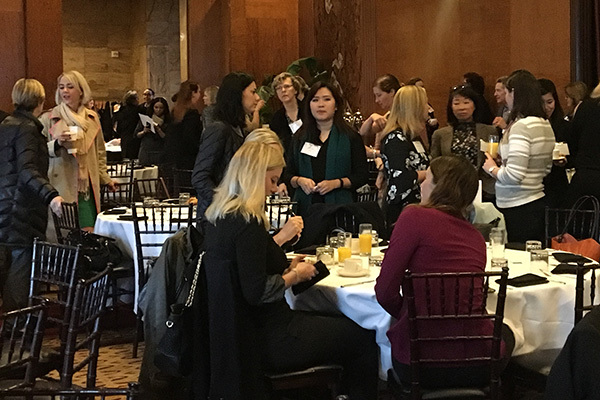 At this sold-out breakfast meeting, over 200 people listened as Jennifer Ellison, CFA, Principal, BOSInvest, asked Ms. Sonders about how economic conditions and market trends may impact individual, corporate and institutional investment strategies. Ms. Ellison prepared an excellent list of thought-provoking questions and at the end, several of the guests also asked challenging questions. Ms. Sonders shared with the audience her personal perspective: “I’m always more interested in the story others aren’t telling.” She covered a wide range of topics including volatility, where we are in the economic cycle, the possibility and potential timing of a recession, what the leading indicators are telling us and her thoughts on the Fed’s actions regarding interest rates. She provided insightful comments on tariffs, the debt vs. the deficit and the issue of entitlements. Her remarks also included her perspective and considerations on valuation. Ms. Sonders has addressed these topics and others in detail in her previous writings. For more information, visit: https://www.schwab.com/resource-center/insights/category/market-commentary. To close the discussion, an audience member asked Ms. Sonders about her personal mantra. 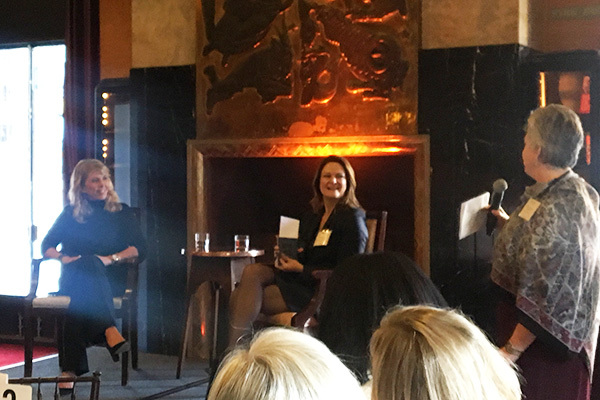 Ms. Sonders shared a fascinating mentorship story from 20 years ago when she was being interviewed for the first time by the late Louis Rukeyser, the host of Wall Street Week. Before interviewing her, he coached her to keep it simple and try to speak so her parents (who were not in finance) could understand. 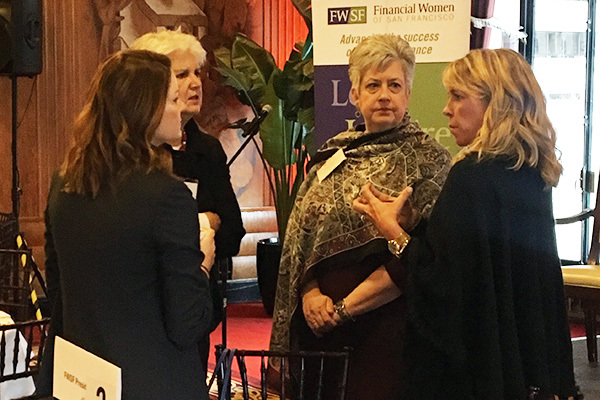 Based on that advice early in her career, her advice to this audience was, “Get to the point.” It is a great reminder to all of us in the finance and financial services industries, where jargon is prevalent. Good communication is almost always about not making something sound more complicated. Ms. Sonders’ ability to communicate to the individual investor is consistent not only with the advice from Mr. Rukeyser, but also with the tone set by Chuck Schwab to make investing accessible for all. 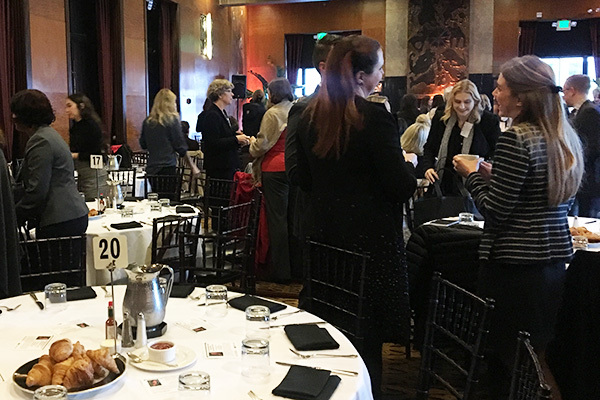 It was a great honor to have Ms. Sonders as our guest speaker at this signature event in the financial community. She has a range of investment strategy responsibilities ranging from market and economic analysis to investor education, all focused on the individual investor. She analyzes and interprets the economy and equity markets on behalf of Schwab's clients. 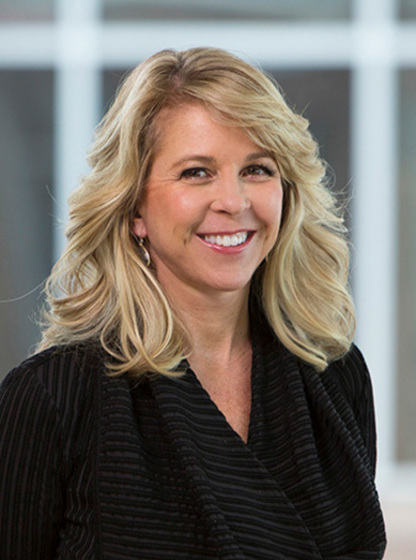 Ms. Sonders is also a keynote speaker at many outside conferences; has been named one of SmartMoney's "Power 30," their list of the most influential people on Wall Street; and most recently, was named to the Investment Advisor's "IA 25," their list of the 25 most important people in and around the financial advisory profession. 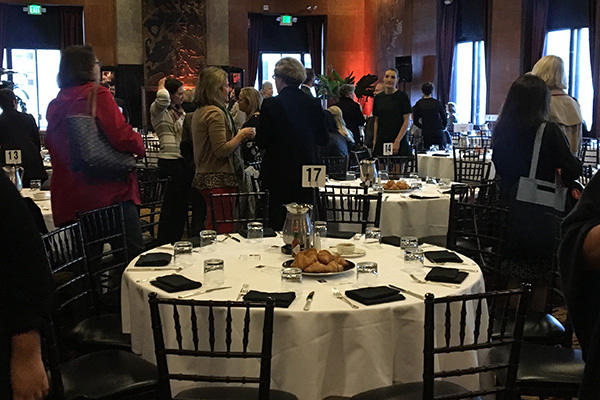 A special thank you to FWSF Industry Leadership chair, Maureen Young, and her committee, which developed this exciting program.